Just a note that I've posted a new update to one of my other blogs, The A-Plus. I discuss Marshall Crenshaw and early-1980s pop. Sunday morning I found a twenty-dollar bill at the bagel shop. 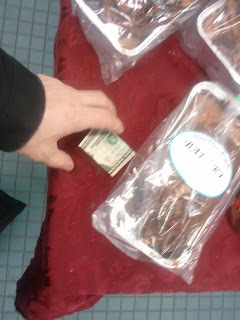 I spotted the folded double-sawbuck on a table full of baked goods near the counter. There were no customers around, nor was there anyone walking out of the shop as I walked in, so the person who'd left that twenty was unlikely to be nearby -- and I don't think it was part of some kind of found-money social experiment. I've blogged and vlogged about my encounters with losing money, and Mrs. The Anthony Show and I have endured several ebbs and the occasional flow of cash throughout our lives. Just last week I'd been alerted by a helpful automated phone call from Chase that my bank card was being used in California to purchase nearly 300 dollars' worth of perfume. Fortunately, the bank put a stop to those fraudulent shenanigans and mailed me a new card within a week's time, but I had to hit up my father for a short-term cash loan since being super-fluid is not how I usually roll. Anyway, when I saw that twenty-dollar bill, I could feel the pain of the person who lost it. Maybe it was someone like me, who shouldn't be buying bagels and egg sandwiches for breakfast anyway when there's perfectly good cereal and eggs at home. Or maybe it was some well-to-do fellow who parks in the fire lane in his BMW X6 and peeled off a twenty from a roll he carries in his pocket, secured with a rubber band used to keep broccoli in line. After all, if he wasn't carrying a bouquet of twenties, surely he would have noticed his missing money when it was time to pay. I didn't think it would have been practical to give the money to the cashier and assume that the person would have returned looking for it, and because it was twenty dollars and not, say, the ninety or so I misplaced in a parking lot last summer, and because I figured someone else would have just pocketed the money anyway (and I don't mean that in a moral relativist kind of way) I just concluded I was experiencing one of those few times that some random event worked in my favor, even if it had to be at the expense of someone else. Still, I felt guilty buying my breakfast with it. POSTSCRIPT: Later that day, I took the kids to Target, and my son found a bank card on the floor. We dropped it off at the customer service desk. I'll never know if the owner of that card will realize that she lost it at Target, but at least I'll know that she won't be losing any money because of it. Here's my one-and-a-half cents regarding Gary Carter, who died today. Back in the early 1980s, my brother and I and another pair of brothers who lived a couple of doors down supplemented our baseball card collection with a baseball sticker collection. Baseball sticker books contained two pages for each team, and something like five spots per page where you were to pasted the stickers for the appropriate players. The best player on the team arrived in a thicker, foil sticker. We spent what little money we had on these stickers — I cringe when I see that Pokemon cards cost like four bucks a pack today — and, unlike the baseball cards of the time, the stickers have absolutely no value as an investment. 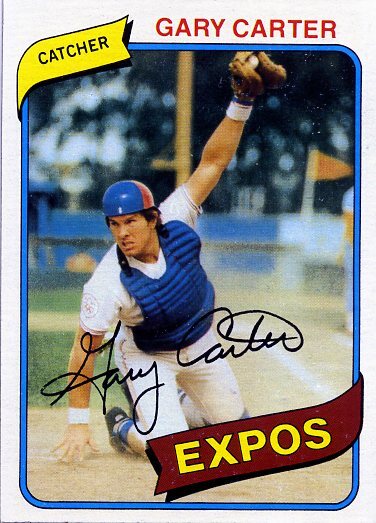 WHAT DOES THIS HAVE TO DO WITH GARY CARTER? On each team's set of pages, there was a bit of information about the team, including the name and address of its home stadium. During that sticker-collecting summer, I shared with my friends an idea: Let's write to our favorite ballplayers, using the addresses for the stadiums, and ask for their autographs. So, Whitney Houston died, and as a result, we've been hearing several of her biggest hits, from "The Greatest Love of All" to "I Will Always Love You." But the song of hers that comes to mind — that is, my mind — is one of a number of songs I categorize as songs I hate, but listen to anyway. The Whitney song I'm talking about, by the way, is "Love Will Save the Day," which I talked about in my other blog that discusses the reviews of "Dean of American Rock Critics" Robert Christgau. Enough about Whitney (for now). I'd like to discuss some other songs that I'm ashamed to have had (and may still have) on various CDs, iPods, and cell phones. I should blog about my problems more often. The problems I can actually attempt to fix myself, that is. 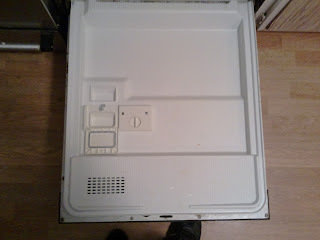 After writing my last post about all the stuff in disrepair around my house, I decided to attempt to replace the defective detergent dispenser in the dishwasher. As I've mentioned before, the little door wasn't closing. The unit is powered and opens, to reveal the detergent, during the appropriate point of the wash cycle. Because the door wasn't closing, my detergent would immediately run down the side of the dishwasher door, and my dishes and flatware turn out cloudy and gross. This would not compel Mrs. The Anthony Show to soak her got-damn oatmeal bowls in the sink instead of letting them air-dry all day like a slow-cooker kiln and cement the leftover oat fragments to the bowl like a dried chicken-pox scabs on an 8-year-old, but I digress. 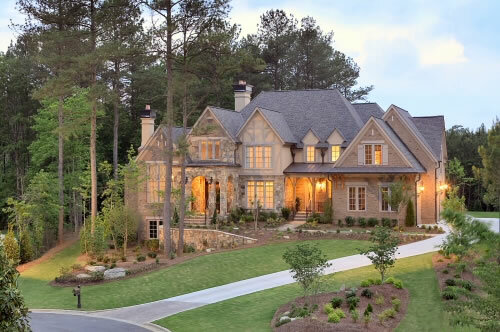 Note: This is not my house. When you own a house, and I don't suggest you do, there are a number of things that you'd like to eventually improve or fix or remove or add, but time and money and skill and laziness stand in the way of executing these updates. I noted a number of the things I'd like to have done in my house, in a post I wrote nearly a year ago, and it's no surprise that I haven't enjoyed much success. Kinda sorta started (again) on a novel, but I actually haven't done a lot of work on it in the past couple of weeks. Trying to hit the treadmill a few times a week. Playing Grand Theft Auto IV, though I accidentally erased all my save files from the Xbox over the weekend, meaning all my "work" for the past two months are gone. But this might be a good thing, if it prevents me from wasting my time with the game. I started ANOTHER blog, about music (sort of), at http://the-a-plus.blogspot.com. Check it out!